Sighted in Science | What's new in the world around you? What's new in the world around you? News this week that graphene has been created in a kitchen blender made me want to talk about just how fantastic this carbon creation is. At a molecular level, graphene looks like a long fence of chickenwire. It is a single layer of graphite, latticing into hexagons tipped with a head atom of carbon. Graphene is only one atom thick yet it is stiffer than diamond. Furthermore, its structure has no band gap (the gap between the energy of an electron when it is bound to an atom) meaning that it can be used to make photovoltaic power cells not affected by electron loss. Properties such as this would be crucial in the advancement of everyday technology used by all of us, especially if graphene could be utilized as a general electrical conductor. If all of this information does not captivate your imagination, then ponder the fact that graphene is only one atom thick yet is visible with the naked eye. Whilst it is transparent (only absorbing around two percent of reflective light) you can still hold it against another object and be able to observe it, just like glass. 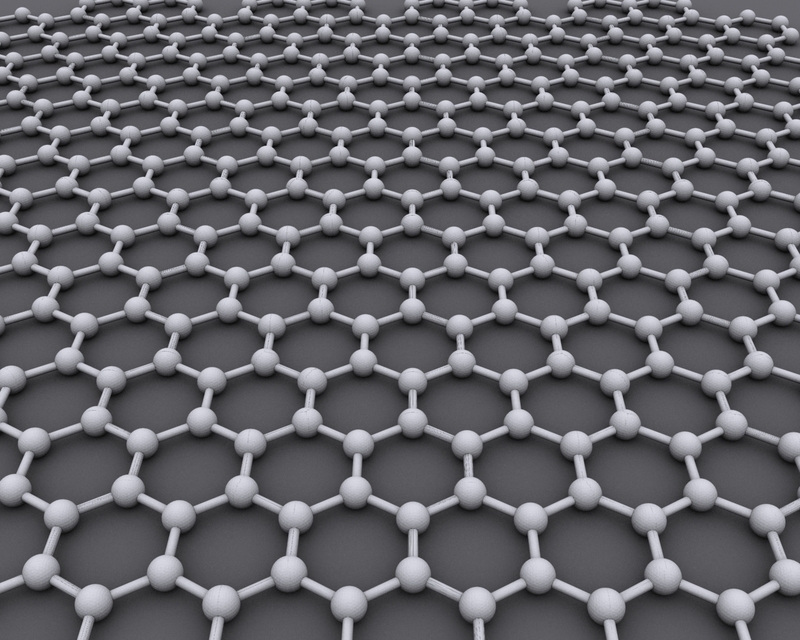 The BBC reported yesterday that graphene was made in a kitchen blender. The rapidly rotating blades of the blender were able to divide the layers of graphite and break up the carbon molecules into graphene. It can be difficult to synthesise graphene because it is only one atom thick. So getting the layers to come apart has given some interesting solutions such as scientists using sticky tape to peel individual layers from a graphite pencil. The blender study was published in the journal Nature Materials. While this topic may seem novel, it is an important step to developing industrially scalable methods for making graphene. United States-based firm Planetary Resources, pioneer in asteroid mining technology has been in discrete communication with the entrepreneurs about developing the space-faring vessels in the aim of “expanding Earth’s natural resource base.” To do this, Planetary Resources plan to develop long range space telescopes and orbital probes to seek out potential “gold mines” that are falling through space. Planetary Resources expect to sell these observations, ultimately offering the mining service, all of which could be possible within the next 15 years. “If you look back historically at what has caused humanity to make its largest investments in exploration and in transportation, it has been going after resources, whether it’s the Europeans going after the spice routes or the American settlers looking toward the west for gold, oil, timber or land,” explained Peter Diamandis, co-founder of the company. Gold, platinum, and even water are some of the resources expected to be harvested after the project gets fully underway. “Looking to space, everything we hold of value on Earth… is in near-infinite quantities in space,” Diamandis said in an interview with Reuters. Water has been estimated to fetch a high price if it is genuinely sourced from asteroids. This could be broken down into large quantities of hydrogen based fuel for use in spacecraft launches. Despite these exciting opportunities, some have expressed issues with the project. While gold would fetch up to $20,000 per ounce, the initial launch and maintenance of any specialised spacecraft may not be worth the trouble, argues some. NASA are expected to bring home around 60 grams of material from an asteroid, but at a cost of over $1 billion. We fight wars over Earth’s natural resources. Countries are invaded over oil, people commit their lives to the acquisition of gold, some burgle and murder for fine jewelery. Starting to mine asteroids for similar materials will not solve all these problems, but it is a step to realise how futile the greed is. Can one of the most popped pills on Earth help prevent cancer? A milestone study conducted in 2012 has revealed that thousands of hereditary cancer cases leading to death can be prevented by taking a moderate dose of aspirin each day. The findings published in the Lancet Journal suggest that aspirin could prevent the deaths of over 10,000 cancer suffers if they ingest two 300 milligram pills each morning. While this particular study was carried out on patients with Lynch syndrome (a genetic fault that has a high probability of leading to bowel cancer) researchers are confident that as many as 30,000 people with Lynch syndrome and bowel cancer will be aided from aspirin-related treatments. Leading the research, Professor Sir John Burn commented on the “overwhelmingly strong” indications from the procedure which spanned several years. Beginning in 2007, two groups of patientswere administered either the test dose of aspirin or a bicarbonate placebo. Initially, no outcomes emerged during the test period. However in the years that followed, it became clear that aspirin had a direct impact on a patient’s bowel cancer. While it is still unclear exactly what causes the preventative effect of aspirin on cancers, researchers learned that it is related to the inhibition of the ‘COX’ enzymes in the colon. The reliability of the findings is backed by universities across Britain and even external input from Kumamoto University in Japan has helped the results make it into the Lancet. All the publicity of these landmark findings has attracted the attention of Professor Gerry Fowkes. He said: “Our research suggests that aspirin should not be prescribed to the general population, although it does have benefits for people with established conditions.” At least six previous studies, lead by Fowkes, have indicated that frequent doses of aspirin could lead to serious health implications and have prompted many of the “worried well” to take the pills. Aspirin does have side effects. Taking aspirin for longer might have a bigger impact on cancer, but could also put such a person in great danger if they are injured and begin to bleed heavily: aspirin is partly comprised of an anti-coagulant, stopping the blood from clotting. In short, don’t start popping the pills just yet. What stand out about this study, and others that have followed it before is the continued mystery of our medicine. Aspirin is acetylsalicylic acid is an analgesic used to relieve mild to moderate pains. It was first created in 1853 by French scientist Charles Frederic Gerhardt. Its popularity remained strong until the advent of paracetamol but is still used by millions across the world to help with an afternoon migraine or a stiff thigh muscle. We have fallen into this idea that one drug is associated with one use. This study tells us to carry on investigating the medicine we are maybe too familiar with because we may just find something even more amazing that some convenient relief for a headache. Have scientists just proven the Big Bang? We start today with exciting news from the South Pole. A group of scientists, called BICEP2, have announced they have found a distinctive signal related to the Big Bang, the leading theory as to how our universe came to be. Using a powerful telescope at the South Pole -one of the darkest places on the planet and so an excellent place to observe deep space – they have detected a distinctive pattern of gravitational waves echoing through the cosmos. These waves are known to have been created by the rapid expansion of our universe just moments after the bang that started it all. This pattern of gravitational waves, called B-mode polarisation, has been theorised for decades but have never been found until now. The reason this discovery is so important is because it gives us real, tangible evidence that the Big Bang actually developed the way we think it did. The scientific community already has mountains of evidence that the Big Bang occurred, but our knowledge of a very specific incident during the process was lacking. So, before the Big Bang, all of our universe is thought to have been compacted into an unimaginably small area. A miniscule fraction of a second after the cosmic explosion, the universe became exponentially bigger. This is known as inflation. This inflationary period smoothed out the entire universe, giving it the size and appearance of a tennis ball, with pleasantly rounded edges. Since then, the fabric of spacetime has been growing outwards ever since. By studying the background emissions of space, the BICEP2 team discovered the dynamic twist of B-mode rippling subtly through the noise of deep space. Pictured above is the Cosmic Microwave Background (CMB). This is all the disruptions we detect when we point a receiver telescope into the skies and aim it to the oldest part of space. It was by examining the CMB in excruciating detail with the BICEP telescope that the scientists were able to find inflation’s characteristic rumble between the stars. 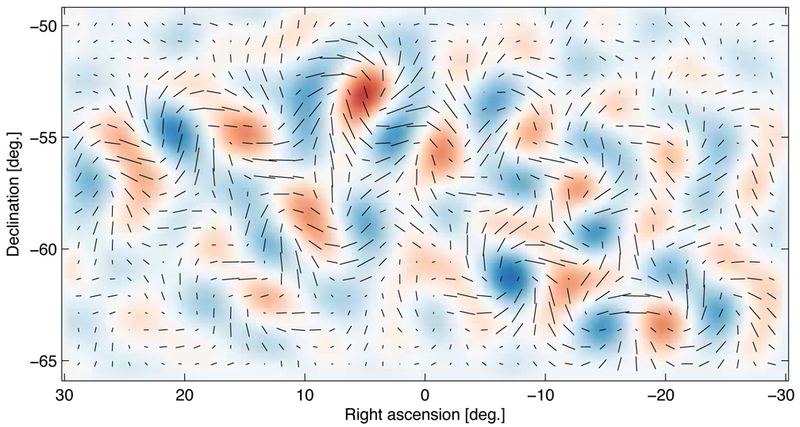 “Detecting this signal is one of the most important goals in cosmology today. A lot of work by a lot of people has led up to this point,” said Prof John Kovac at the Harvard-Smithsonian Center for Astrophysics. He was the leader of the BICEP2 collaboration, referring to the discovery as “smoking gun” evidence for the Big Bang. “Why the cosmic microwave background temperature is the same at different spots in the sky would be a mystery if it was not for inflation saying, well, our whole sky came from this tiny region,” Chuck Bennett, a top figure in NASA’s Wilkinson Microwave Anisotropy Probe mission, told Space.com in 2013. By finding this, we have added to the overwhelming evidence for the Big Bang that happened eons ago. Personally, I find it brilliant that we have the ability to look back to the dawn of time itself, 13.78 billions years ago, and learn about the origins of -well, everything. This is a big discovery. These findings will certainly be worth a Nobel Prize once the results of BICEP’s observations are confirmed by other scientists. Although, the BICEP team spent three years checking their data, looking for other possibilities than just B-mode. It is very promising. As an aside, there is a Professor who as spent his career investigating inflation -Andrei Linde. He is the father of the inflationary theory having spent over 30 years forming predictions of what B-mode would look and act like. On the day of the announcement, a BICEP scientist arrived at Linde’s home with a video camera to deliver the news. Remember to follow me on Twitter for more stories. This is part two in my miniature review of the first episode of Cosmos: A Spacetime Odyssey which aired on March 9. This is a re-imagining of Carl Sagan’s original Cosmos which ran in 1980. If you have not already, read the first part of my overview here. The American networks pushed the marketing for Cosmos for months. They had two versions of a teaser airing in the ad breaks of their 10 channels for what seemed like eons. The trailers were flashy; filled with what I presume to be the most elaborate computer-generated graphics that will appear in the show. This made me concerned that the actual series would be overloaded with CGI and not with actual footage showing the wonders of the universe as they appear in real life. Thankfully, the show found the perfect balance. The space exploration sequence early in the first episode was FX heavy but this is to be expected. I foresee the spectacle to diminish throughout the season to remain in budget. It is a television show after all. Yet again, I have only praise for the consistency of the first episode of Cosmos. The show quickly found its footing to deliver fascinating information, under the 40-minute prime time constraint, while still keeping viewers interested. I predict the series will have a very dynamic approach to topics much like A Personal Voyage, where the enthusiasm for scientific discovery is portrayed in order to appeal to people’s genuine curiosity for the universe around them. Some know him for his science activism, some for his work in cosmology. Many even know his face because of the popular internet meme. Whatever way you are aware of Neil deGrasse Tyson, he is the host for Cosmos: A Spacetime Odyssey. And he is the perfect man for the job. With Carl Sagan himself hosting the original series several decades ago, Tyson had big shoes to fill. Sagan maintained such presence on screen and his delivery of scientific concepts allowed people to connect with him while they learned. Tyson does not compare to Sagan but that is the best thing about this change. He takes a very different approach to hosting his Cosmos. Instead of holding your hand through the journey (like Sagan), Tyson guides you though the episode and brings his own passion to the screen. Overall, episode one of Cosmos: A Spacetime Odyssey was a huge success. My standards were very high and I had a major worry the show would be a let down after the historic 80s series. Instead of breaking down by expectations, it blew them away (in the most positive method imaginable, of course). I expect many others to feel the same way I do about the reboot too. Buckle up, there is another twelve episodes to go. But this time it is more than a personal voyage, we are a part of this odyssey together. This will be my last mention of Cosmos: A Spacetime Odyssey for the time being. Once the series ends in three months time, I will do a series overview to round up my thoughts on the success of the show. It was one of the most loved shows of the 20th century. It inspired an entire generation of scientists to explore the universe. It gave millions an insight into the marvellous complexity of the reality around us. It was Cosmos: A Personal Voyage. Now it has been given new life to achieve all of these goals again, today. Cosmos: A Spacetime Odyssey aired for the first time last night across 10 of the biggest American networks. The reboot, hosted by science communicator Neil DeGrasse Tyson, ran for just shy of an hour and began the first of a 13-part journey into exploring the cosmos. I wanted to give my personal thoughts on how successful the first episode actually was. The first Cosmos by Carl Sagan in the 1980s was a huge influence on me so the 2013 version has a lot to live up to. Did it? Tyson stands on the very same shoreline cliffs that Sagan stood more than three decades before. This begins a perfectly nostalgic undertone to the show, establishing Cosmos: A Spacetime Odyssey as a re-imagining of A Personal Voyage. It is not a scene by scene recreation, but throughout the episode, Cosmos keen-eyes will see nods to the original -certain phrases from Sagan are repeated by Tyson, the Ship of the Imagination, the cosmic calendar e.t.c. It was good to see the show did not open immediately with flashy CGI or imposing text overlay, but a wave crashing against the beach to symbolise how this series’ journey will take viewers beyond the shore of the cosmic oceanon which humanity stands. I was initially worried the producers of the show would cram too much information from an overly diverse range of topics to hook viewers on shallow knowledge, but this was not the case. The opening episode dealt with only certain issues while being able to raise the interest in other topics that will be expanded upon in later episodes. One of the main sections of the premier concerned the story of Giordano Bruno, Italian philosopher of the 1500’s. In a beautifully crafted interpretative animation (made by Family Guy’s Seth MacFarlane and his animation studio), Bruno’s tribulations as an open-minded believer are covered with a shockingly dark tone. His prosecution and eventual execution by the Church uncovers just how abusive religion was to the expansion of science back in the 16th century. This segment plays well into the first episode’s theme of having a curious mind and willingness to explore other possibilities outside of the accepted truth. The cosmic calendar made a spectacular return from the 80’s version of the show. This concept neatly summarises the 13.78 billion years of our universe by condensing events to one calendar year- from the Big Bang at midnight on January 1, to the present day at 23.59pm on December 31. On this scale, our industrial revolution happened just 14 seconds ago. While the complexity of the science covered in this first episode hardly surpassed high-school standard, it was nevertheless engaging and informative, particularly for those who may not have any interest in the sciences. This post is the first in a two-part review. See part two here. Scientists at the University of Texas Medical Branch (UTMB) have grown lungs in the laboratory for the first time. By taking parts of damaged lungs from children, they have been able to nurture a set of lungs to the point of being able to react to air. I found this story through New York Daily News and was then able to get the original release from UTMB. This news item is of particular significance because it brings about two scientific breakthroughs. Firstly, an organ as complex as a lung has not been artificially created in a lab environment in the past. There is a bucketful of reasons why artificial organ growth is challenging but these researchers have been able to break down some of those barriers. Secondly, their methods were very interesting. Taking an ‘abnormal’ approach allowed them to create something relatively ‘normal’. By using two lungs taken from two separate children who died, the researchers created a scaffold from one lung to use as a ‘soft-tissue backbone’ that could have the damaged tissue from the second child’s lung grafted on to it. Submerging the grafted lung into a nutritional solution for one month to allow the cells to repair, spread, grow, and become somewhat functional. After this, the scientists took out the lungs and pumped them full of air, to which a lung responded by receiving the air, seen when the tiny air sacs- the alveoli- expanded. The lungs after being stripped of material, ready to be used as a scaffold (left). The lungs after being submerged 30 days (right). While this work can be considered a revolution in artificial organ creation, any resulting impact to those who need an organ transplant is still a while away. It is a step forward nonetheless. “My students will be doing the work when I’m old and retired and can’t hold a pipette anymore,” says Professor Joan Nichols, who headed the team responsible for the experiment. More complex lungs will need to be grown before any sort of animal trials can begin, not forgetting an exhaustive list of clinical trials in humans. Perhaps with collaboration with stem cell researchers, this kind of work can have a prosperous outcome for all. Finding some way to utilise stem cells’ ability to adapt to very specific purposes could improve artificial organ growth times and the overall effectiveness of the organ in question. “In terms of different cell types, the lung is probably the most complex of all organs — the cells near the entrance are very different from those deep in the lung,” said Dr. Joaquin Cortiella who leads the UTMB group. The brilliance of this news should not be shadowed by the long road ahead. While the lung is one of the most complex organs in terms of cell complexity and diversity, these sort of promising results are good news for those on the always over-encumbered transplant lists. Every person has their likes and dislikes, fandoms and hobbies, obsessions and distastes. Whether you have an interest in the sciences or not, it is one of the few groups of topics that has a profound impact on the way we live our lives. Controversies, personal beliefs, and distrusts aside, the practice of science has propelled the human race further in the last 100 years than anything ever studied. Science has brought us every single one of our technical advances, our wealth of medical knowledge, and continues to satisfy our desire to learn about the reality in which we live. 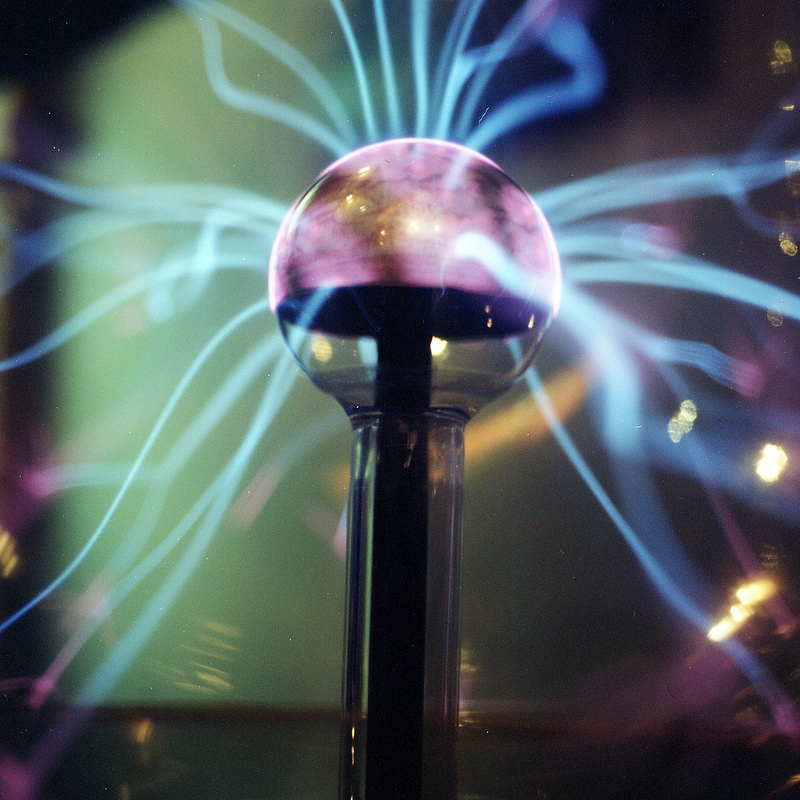 Science is an ongoing endeavour, with new discoveries, techniques and experiments being made every day. It is far from the dull and uninteresting side of life which many people have branded it as. Fascinating scientific news emerges all the time, so the propose of this blog over the next number of weeks will highlight some of these. From chemistry to space exploration, zoology to microbiology, diverse and insightful stories will be covered on this website in both an informative manner and with my own personal angle. It is time to dispel the stereotypical image of test tubes and lab coats… so let’s find out what is new in the world around you? From chemistry to space exploration, zoology to microbiology, diverse and insightful stories will be covered on this blog by a person with a deep-seeded interest in humanities exploration of the natural world through science. Comment, share and discuss whenever you can to get involved. 350.org The 350 campaign raises the relevance of climate change in modern life through thought-provoking blog posts. Bad Astronomy Phil Plait, astronomer, covers all the spectacle and science of what goes on outside our atmosphere. Cancer Research UK Science blog This blog is part of Cancer Research UK’s attempt to raise public awareness of the development in the fight against cancer. CFI Morning Heresy The Center for Inquiry hosts this critical thinking blog that looks at many aspects of science and skepticism. Neurologica Blog Steven Novella is a neuroscientist and rationalist. He covers emerging developments in medicine and ‘bad science’ that has infested the conventional medical industry. Science-Based Medicine SBM explores the issues and controversies influencing modern medicine. Sense Psychology Covering how the mind can be altered and memories changed in way you may never have imagined. The Guardian science blogs The Guardian hosts many talented writers who give their own take on major science news stories.